Hi everyone!! 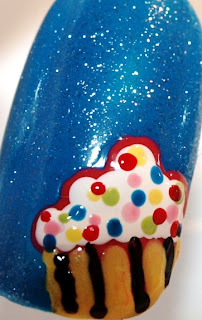 I was inspired by using blue because, lets face it, blue looks wonderful on nails. :) So I started out with blue and then started dotting with hot pink and i couldn't figure out what to do. 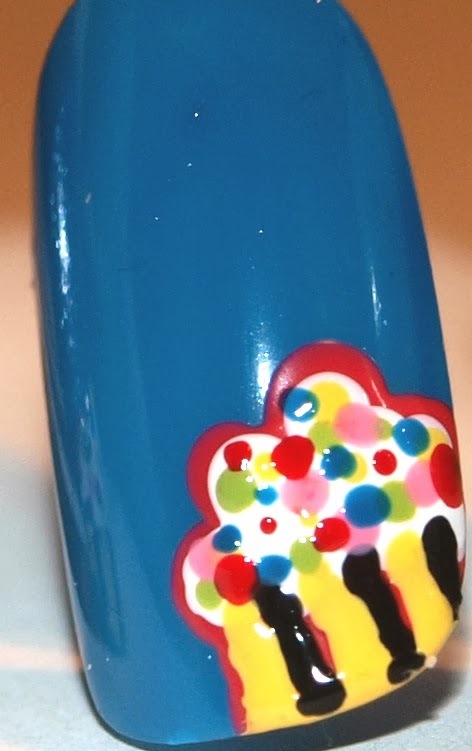 My initial design was just to make curves with dots but then as i kept looking at the hot pink, realized this in the the shape of a cupcake!!! 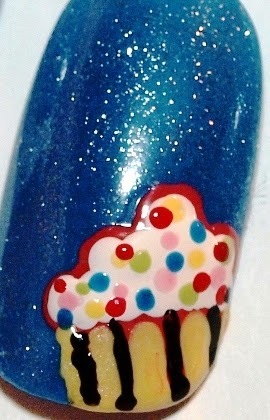 So my design became a cupcake. 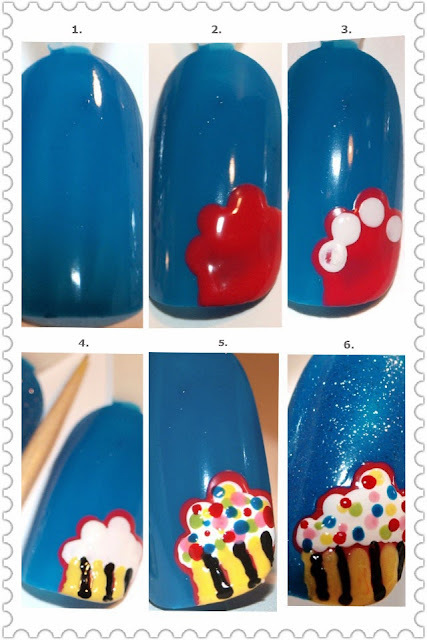 Here is the step by step Tutorial on how i made the cupcake design on a blue nail base. Enjoy! This is my first step by step with pictures design. I hope you enjoy :) Please comment, reply, let me know you've stopped by my blog. If you recreate this, post and share. Would love to see variations on this yummy cupcake design.